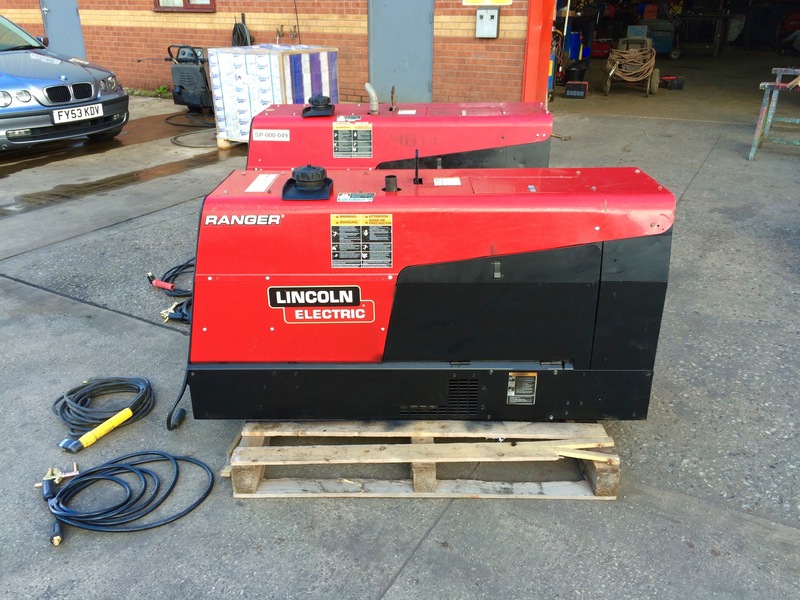 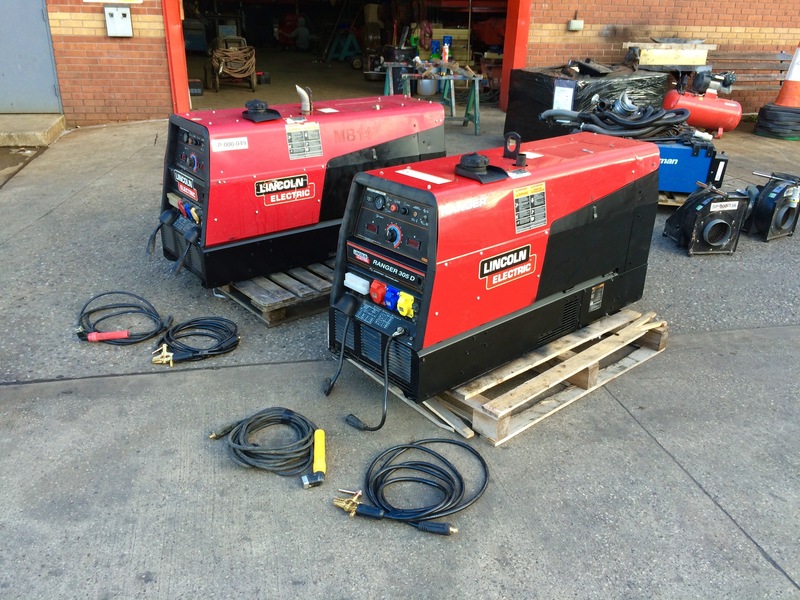 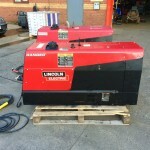 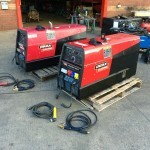 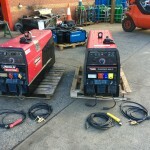 The Lincoln Electric Ranger 305D are our favourite site welder generators. 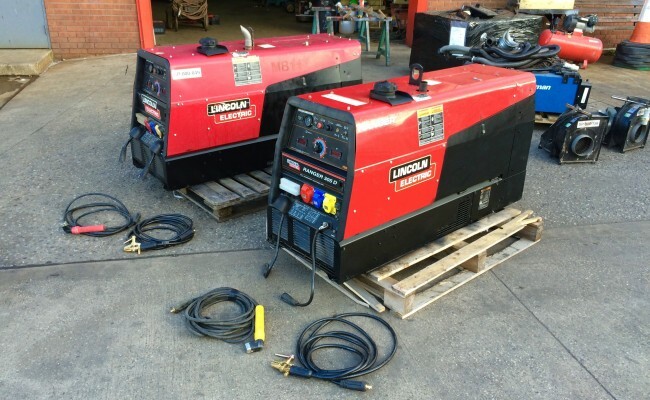 They are built tough, robust and have amazing output facilities such as MMA stick welding, MIG welding and lots of auxiliary socket options for powering equipment such as lighting, grinders and drills. 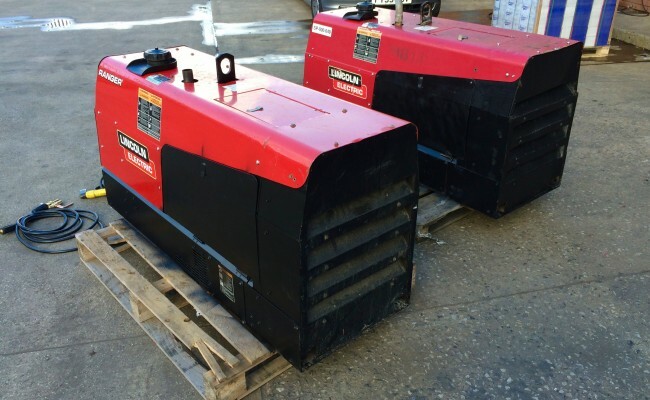 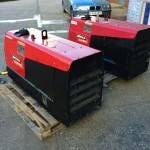 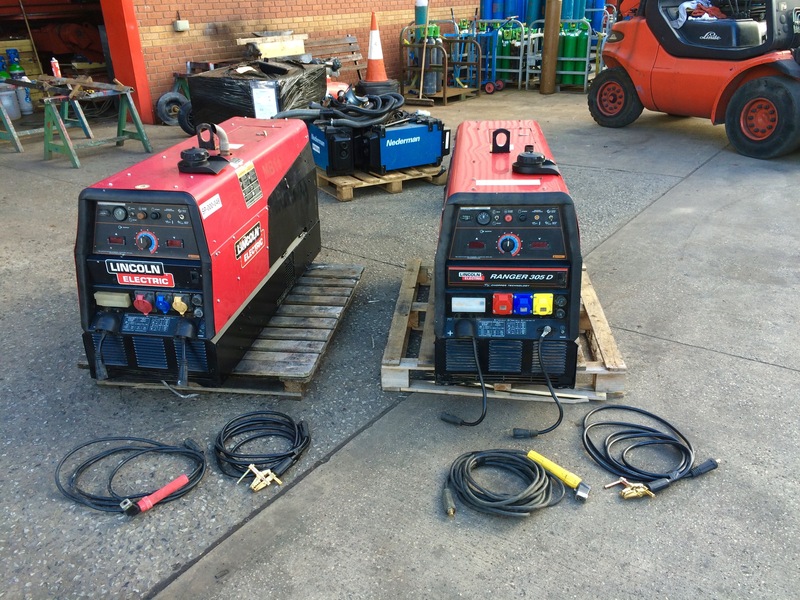 These x2 used diesel generators in the photos are in immaculate condition and are kept well serviced with only roughly 500 hours on one, and 2000 hours on the other. 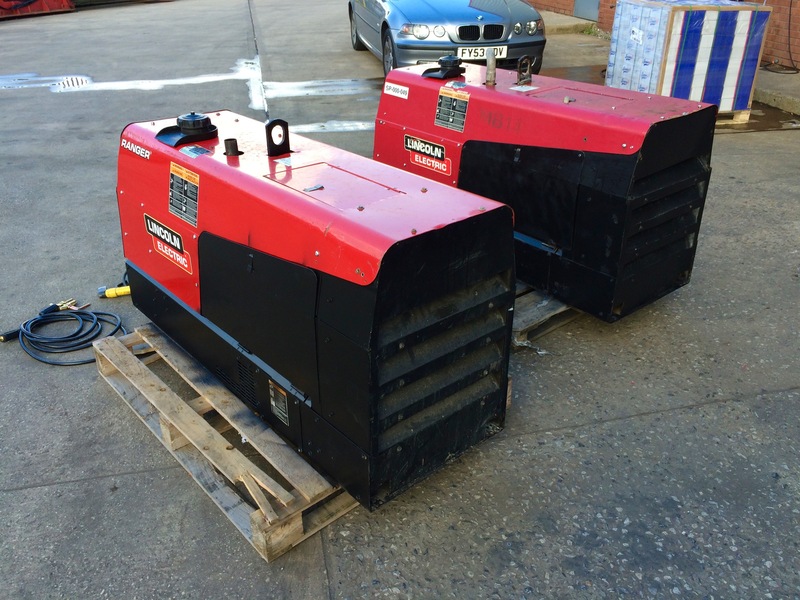 The regular oil changes, filter replacements and maintenance we perform here at Spectrum makes for confident generator hire when we send our machines to every corner of the UK. 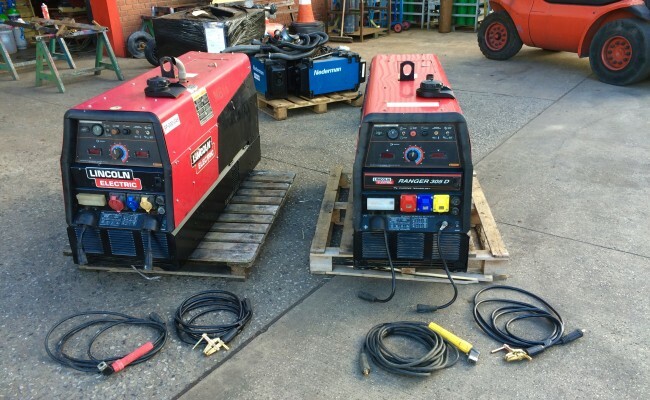 Having removed the optional 3 wheeled site trailer that the Ranger 305D can sit on, we have skid mounted these welder generators which makes life a lot easier for transporting when on euro pallets, and making it simple for fork lift trucks to manoeuvre them around site safely. 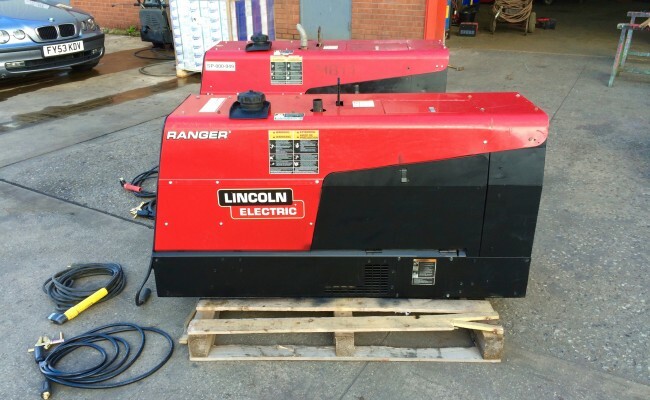 29.9 x 21.5 x 52.3 in.